(February 6, 2019, Fort Smith, AR) — Accountants are thorough. 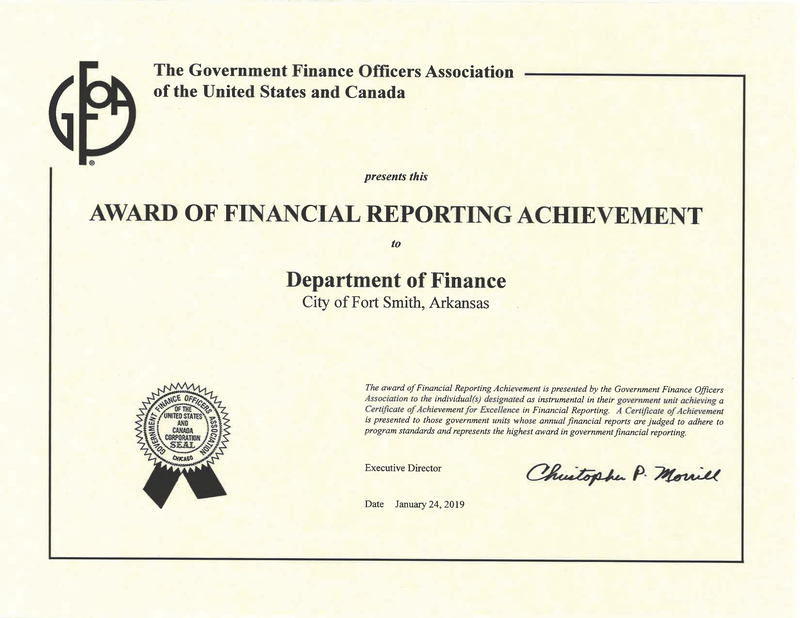 After thoroughly examining our Comprehensive Annual Financial Report (CAFR), the Government Finance Officers Association of the United States and Canada (GFOA) has just announced that it has awarded the City of Fort Smith the “Certificate of Achievement in Financial Reporting.” This is the thirty-third (33) consecutive year the City has earned this distinction for excellence in financial reporting. 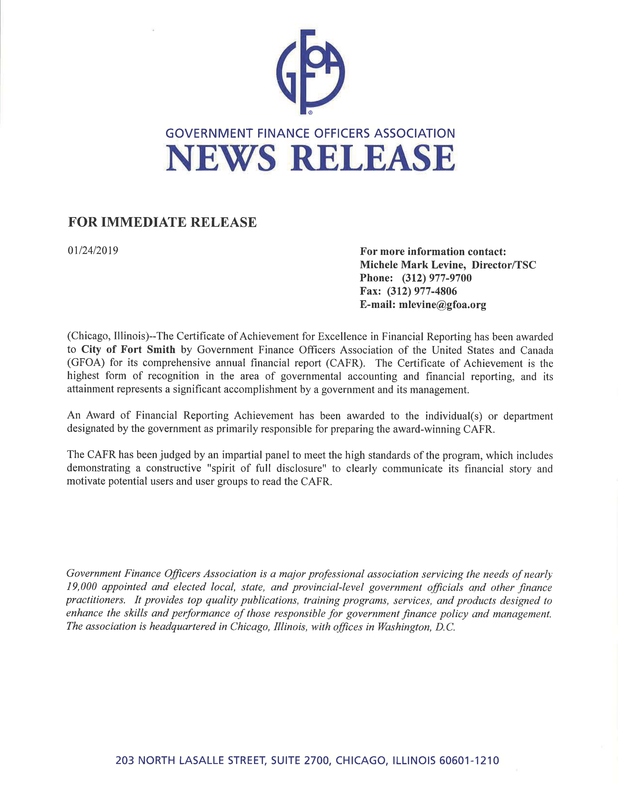 “The Certificate of Achievement is the highest form of recognition in the area of governmental accounting and financial reporting, and its attainment represents a significant accomplishment by a government and its management,” reads the GFOA news release announcing the accomplishment. The award, presented to the Finance Department, is for our FY2017 CAFR, the most recent completed and audited comprehensive report available. “The CAFR award program provides a rigorous examination of our financial statements, ensuring a transparent presentation of the City’s financial status that strikes a balance between comprehensiveness and readability,” Department of Finance Director Jennifer Walker said, reacting to award announcement. The most recent fiscal year, FY2018, has just closed. Auditing of the FY18 CAFR by the independent firm BKD Fort Smith, the largest CPA firm in Arkansas, is expected to be completed in June of this year.